S/V70 Series, 1997 up to 2000. 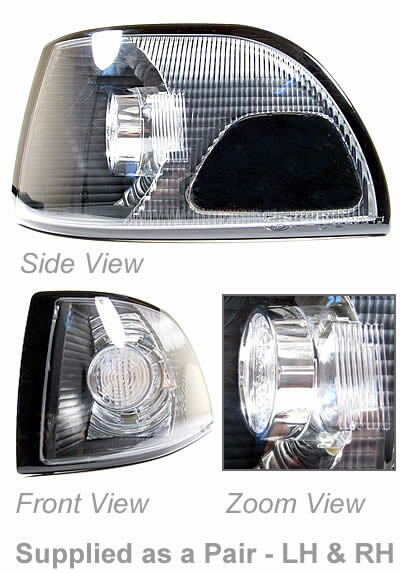 Upgrade your car to these new black Projector Style indicator lamps for a cool new look! Original equipment quality swedish supplied aftermarket Styling Lamp Kit. Supplied as a pair - left hand and right hand lamps. Please view picture enlargement for further detailed pictures.